A concise examination of the law and procedures most frequently encountered by practitioners in District Court criminal law proceedings. 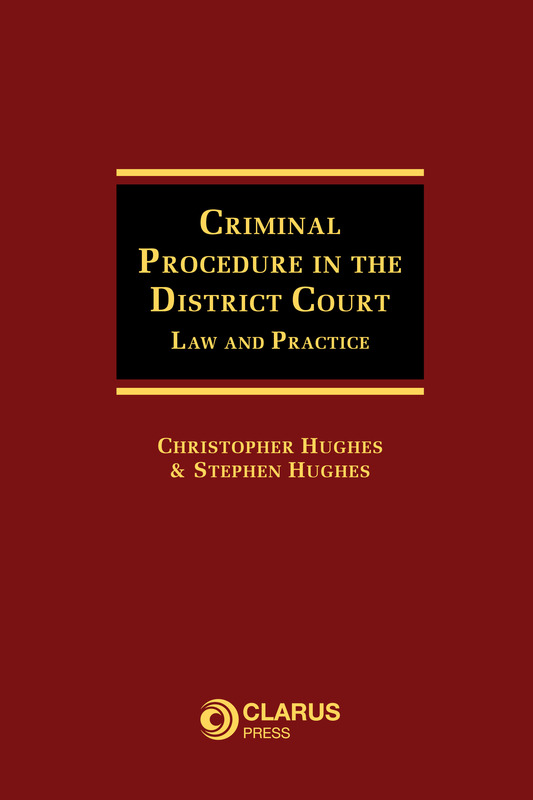 Criminal Procedure in the District Court: Law and Practice contains a concise examination of the law and procedures most frequently encountered by practitioners in District Court criminal law proceedings. 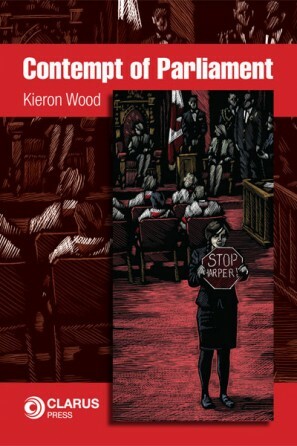 This unique book provides succinct summaries of the relevant legislation, consolidated and annotated, for a broad range of the most commonly prosecuted offences in the District Court. 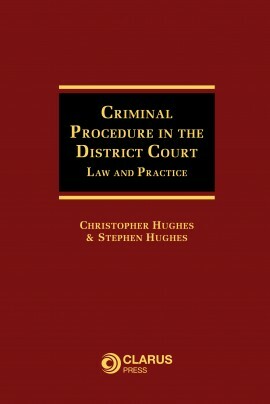 Presented in a simple, clear and user-friendly format, the combination of practitioner tips, sample drafting/documentation and consolidated and annotated legislation for a diverse array of commonly prosecuted offences makes Criminal Procedure in the District Court: Law and Practice both distinct and unique in its content and analysis of District Court criminal law practice and procedure. Christopher Hughes LL.B., BL is a practising barrister. Stephen Hughes LL.B., LL.M., BL is a practising barrister. 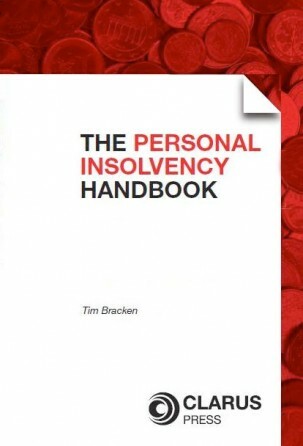 (including offences under the Social Welfare (Consolidation) Act 2005, Revenue offences and offences under the Energy (Miscellaneous Provisions) Act 1995). (including offences under the Planning and Development Acts, litter offences, waste management offences, building control offences and water pollution offences). (covers an extensive and diverse range of motoring offences including intoxicant related driving offences such as “drink driving”, non-intoxicant related offences such as “dangerous driving” and documentary offences such as “driving without insurance”). 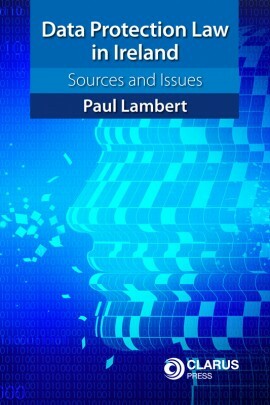 This book is essential for any legal practitioner or member of the Gardaí specialising in District Court criminal law. 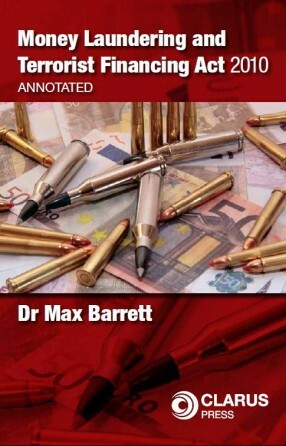 It additionally serves as a comprehensive resource and useful point of reference for legal academics, law students and members of the public with an interest in criminal law as encountered in the District Court.